Recommended: I would consider this an easier course than the “core” science courses. Course Description: Students will study oceanography as a science from many different aspects. Chemical, physical, and geological oceanography will be explored. Students will study not only the ocean but water systems, coastlines and marine life including plants, algae, vertebrates and invertebrates. Students will complete hands-on as well as virtual labs. Students will research and share their findings using projects, written and oral reports, and power point presentations. Notes: The base of this course is GA Virtual Learning’s Oceanography course. The pdf worksheets and labs are from there. The beginning of the course brings up millions of years. I bring in a Bible-based article to show another perspective. Later in the course I bring in a documentary to show scientists with opposing view points. There is a lot of optional printing (*). It’s for people who want more time off of the computer. If you are more interested in saving money, just skip over those and read them online. Not all assignments have answers at this time. If students are filling in a worksheet, they will find the answers in the material and write them in and should not need to check them, and sometimes points are awarded just for completing an assignment. There are, besides tests, quizzes which are self graded and grading rubrics for labs. Materials are listed in bold next to the day number. A (source) link does not need to be clicked. It’s just to give credit for where I got an assignment or a quote from. If a link is not working to follow the steps on the FAQ page. (*)Print out your first quarter grading sheet or use the Excel version. It’s time for a lesson on science. Science is the collection of observations made about the world. When something is being observed, there are basic assumptions being made. If your basic assumption is that the oceans have a Creator you would draw different conclusions than those who assume no creator. Scientists come to different conclusions because they are using different lenses to look at the question. The base of this course, Oceanography, assumes no Creator and a millions of year old earth. I start with the assumption that the earth has a Creator because I know it’s true. I also believe in a literal 6-day creation and so believe the earth is young, relatively speaking. Below you’ll find an article by a PhD scientist to help you see that different conclusions are made when you start from a different mindset, one of faith in the truth of the Bible. Read the introduction and copy down the key terms. Leave room for writing definitions. Read and write the definitions for each type of oceanography. Tell someone which you are most interested in and why. Read this article about how we see evidence of a young earth in the oceans. Don’t forget that you aren’t alone in believing this way. Smart people agree with you! Talk to your parents about what you read. Write in the definition of basin. Look at the map on the page. Where is it the most shallow? Where is it deepest? Read about the history of oceanography. Fill in definitions on your key terms list. You’ll be writing your own definitions. Do some online research to learn more about one of the men listed. Write a paragraph on what you learned. Record 5 points for a complete paragraph. Measure and divide to draw to scale. Add symbols and a key. Make sure to include your scale. Record 5 points for a complete map. Read about ocean resources. Always add in definitions when you come across them. Based on what you have read and learned so far, answer each question for thought in separate, complete paragraphs. Life as we know it on Earth apparently requires water in some form. The planet Mars appears not to have liquid water on its surface, but evidence suggests that it may have had water at one time. Do you think Mars could have also hosted Earth-like life? Might life still exist there? Support your answers with specific scientific examples. Score 5 points for each complete paragraph which answers the question. Record up to ten points. *Complete the What is Oceanography worksheet. Record 10 points for completing the worksheet. Lose a point for any missing answer. Complete the Fun Facts worksheet. You will need to look up the answers. *Complete the From the Ocean to the Sea worksheet. Record up to 10 points for a completed chart and up to 6 points for the analyze questions. Review your terms, put them away, and do the matching activity. Complete the crossword. Check your answers by clicking the key at the top of the page. Add a point if you followed the directions and reviewed your terms. Record both of your scores out of 10 and 11. Write down the key terms. Leave room for definitions and fill them in as you come to them. You will write the definitions in your own words. Read about the scientific method. Design a simple experiment following the steps of the scientific method. You don’t have to write up a report, but you need to record your observations/data. What are your different types of variables? Make a graph using Excel or Open Office. 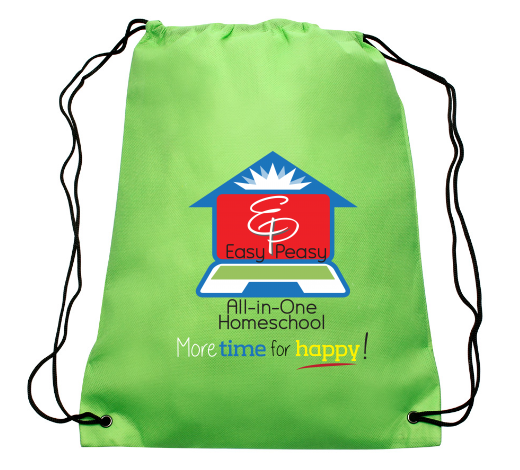 If you don’t have one of those, you can use an online program, or if you insist, graph paper. Gather up some oceanography facts as your data and graph it. Record five points for a labeled graph. Read this guide to writing a lab report. Write a lab report for your Day 9 experiment. Record 10 points for a compete report including: introduction, methods, results, analysis and references. Okay, you don’t need references on this one. Take two points off for any missing part. Record five points for a complete answer. Use this list of Latin roots, prefixes and suffixes and complete the (*)name game assignment. Present your pictures and names, meanings and reasons. Record 4 points for each organism if you include each of those things. Read over your definitions for this unit’s vocabulary. You should know their meanings. (*)Complete the lab, Sink or Float. (*)Here is your rubric that you will be scored with. Complete the lab and record your score. There is a test tomorrow on this unit. You should review all of the information on of the unit. This should help. You can review your scientific method notes but then put them away. Today’s assignment requires you to use your observational skills. How does using your sense of hearing contribute to the scientific method? Make 2 observations using your sense of hearing for the sounds produced by each link. Next, watch this video. How does your sense of sight contribute to the scientific method? Write a brief paragraph of what you see from the video. Record 7 points: 2 for the the 2 observations and 5 for a complete paragraph answering the second part. Copy the key terms and leave room for definitions. Read about basins and write down definitions on your list. *Color in the ocean basins on this map and make a key telling what’s what. Learn about the Equator, Prime Meridian, and longitude and latitude lines. Read about the ocean floor and write down your definitions. (*)Make a sea floor spreading model. You can cut your paper down to size if your cardboard isn’t big enough for a full piece. If this is taking you too long, you can finish on Day 20. Show your model to someone and explain the things listed under pupil outcomes. Record 20 points: 10 points for model and 10 points for successfully explaining. You don’t have to do the experiment, but look at the pictures to see how pressure is increased even in such a small amount of water in a small area. Compare that to the ocean! Read about plate tectonics. Write in your definitions. Complete this interactive on the earth’s plates and boundaries. Here’s an article about Pangea from a Christian perspective. Here’s one more with some thoughts and verses. If you like, take the challenge. Read about sediments. Make sure you are writing your definitions. Don’t make me always have to say it! Click on a fossil forms and view the steps. Scroll down the opening page and read the overview directions. Draw layers of sediment and fossil. Label your labels with names from your reading. Show your drawing to someone and explain what type of sediment is in each layer. (*)You have two days to complete this lab on Mapping the Ocean Floor. This is made to be done on Excel or similar program, but you can do it by hand. Here’s a video if you need a little help. Finish your ocean floor map graph and analysis. Record 19 points for completing the chart, 10 points for the graph, 18 points for the analysis (2 each). Total is 47. Add 3 for completing it on time. (*)Answer the questions on this Ocean Basin Worksheet. Use your notes and the readings from this unit to help you. Record 10 points for completing it. Take off 1 point for each incomplete answer. (*)Answer the questions on this Ocean Floor Worksheet. Use your notes and the readings from this unit to help you. (*)Complete the table and the crossword puzzle on this Plate Tectonics Worksheet. Use your notes and the readings from this unit to help you. Record 5 points for finishing the table. Take off 1 point for each incomplete area. Record 5 points for finishing the crossword puzzle. Take off 1 point for each incomplete space. (*)Set up this Salty Water lab and finish the procedure until you have to let it sit. Finish your salty water lab and write it up completely. Use the rubric to grade your lab. Divide the score by four. Record your score out of 25. You might want to save this for your portfolio. You should do this at a computer that you can print from if possible. Complete this online lab about ocean characteristics. Label the parts of the ocean floor and then click to check to move on. You’ll move the boat to the different letters and then choose the depth from the black box. Record the data for two depths at each letter point. Record up to 17 points. 16 points for 8 sets of data each with data from two different depths and one point for getting the labels correct. Write down the key terms. Read about water and write down definitions. Read this extra page on water cohesion and adhesion. Read about solutions. You can skip the last paragraph on colloids. They call water the universal solvent. Does that mean it dissolves everything? Explain to someone how water sticks to itself. Read about the hydrolic cycle and write in your definitions. Read about use and overuse of ground water. Play with the simulation and then answer the questions. Read salinity, hydrogen, and dissolved oxygen. Make sure you are writing down definitions. Go through this virtual lab on dissolved oxygen. You will not be creating it on your own. You will use their samples. Keep clicking on next. If you ever get stuck like the next page isn’t there, click on what you need from the left side bar menu. Fill in the analysis using the sample problem. Answer the questions and take the quiz. Read about minerals. Make sure you are always writing down the definitions for your terms. 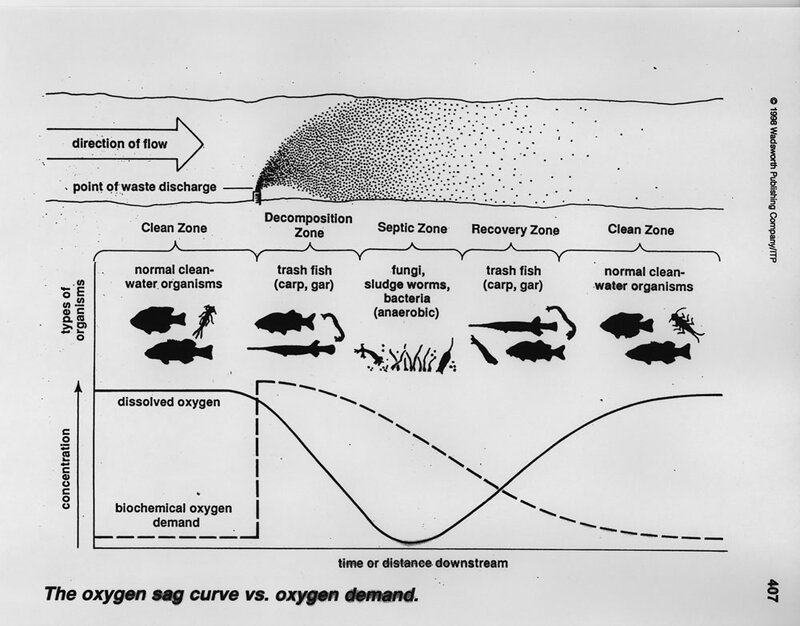 Read about the nitrogen cycle. Watch this animation on the nitrate cycle. Complete the activity for review. You don’t have to record your score. Do it thoughtfully to help you learn/remember the terms. Make sure you know all your terms. (*) Complete the Chemical Oceanography Worksheet. Remember, this isn’t a quiz. You can go through the material and find the answers. Record 10 points for completion. (*) Complete the Salinity Experiment Lab. Use the rubric to grade your lab. Record your score. Complete this water cycle activity. Record 10 points if you completed the activity. Make sure you know your terms from this unit. Go through the three parts of the lab. This is big, but just follow the directions. The lab is in part two. The directions are in the bottom right corner. Just do what it says. Record up to 50 points for a completing the lab. Below is your test for this unit. Answer the two questions for thought. Your answer should include at least two parts for both the magic show and the salt water question. You may score up to four points for that section. Record a total score of up to 24. Copy down these key terms about physical oceanography. Read about the greenhouse effect and global warming. Make sure you write down definitions. Read about how global warming affects the oceans. How do greenhouse gases affect climate? Explain to someone what is happening in the simulation. Global warming is what is taught as truth. Here’s a documentary called The Global Warming Swindle that aired on British television. These aren’t Christians going against status quo. These are scientists telling what they believe is true. You can decide for yourself about global warming. You do need to know what it is. This documentary, more than anything, can show you that scientist don’t all agree! People like to make you feel stupid if you don’t agree with what “all scientists say.” The truth is that scientists don’t agree on a lot of things. Read about El Nino and about the Corolis Effect. Make sure you are taking notes and writing definitions. Check out these animations. Describe what is happening during El Nino and La Nina. Complete this Climate Activity by creating a presentation. Make sure you create a cover slide and a credits slide. Here is the link to your information site. Present your finished product to an audience. Read your slides and explain to them. Complete this Global Warming Experiment. You don’t have to write up a lab. You can copy and paste this into a word processing program and fill in the blanks and write in answers to the questions. Record your score out of 25. Give yourself 25 points for completing the assignment. Take off 1 point for any missing answer. This is the end of the first quarter. You should save some of your labs in your portfolio. You could also save a test and worksheet answers. To figure out your grade: total up your scores and divide by the total possible. Then multiply it by 100. Your goal is to get an A. Where are you losing points? How can you keep from losing them next quarter? (*)Print out next quarter’s grading sheet or use the Excel version. Use this lesson (alternate link) and this site to answer as many questions as you can. Score one point for each number completed and answered. You may search for answers you can’t find elsewhere. Follow the directions on this world climate activity. Use this website to find your weather data. Complete this Ocean Currents and Temperature Lab. Reminder: guide to writing a lab report. Use the rubric to grade your lab. Divide your score in half and record your score out of 50.
Review your terms and definitions. Complete the crossword puzzle as your quiz. Record your score out of 6. Now complete this test. This is a sample of what your final will be like. Check your answers. Save this test to study from at the end of the course when you will take your final. Copy down the key terms on “Moving Water.” As always fill in the definitions as you read. View this video showing a simulation of ocean currents. *Print out this map of the world and draw on the ocean currents. Show someone your map and describe where the wind currents go and how they affect the ocean currents. Read about waves. Fill in definitions. Copy the formula and study the diagram. Use the tsunami website. Click on the waves tab and watch the waves by clicking on play. Now catch a wave and measure a wave. (You have to click right in the circle next to the slope type.) Scroll down to answer the questions. Read about the power of waves. Use all of the links on the top right to read the other articles: tsunamis, freak waves…then also use the animation and videos. Read about tides. Fill in definitions. Watch the lesson and global impact videos on tides. Do the “Predicting the Tides” activity. Follow the directions. Read about coastlines. Write definitions. Write a paragraph stating the trends based on the observations you’ve made about the map. Where does the current originate? Where does the current end? Is it a warm or cold current? Does the current flow clockwise or counter-clockwise? A representative picture of the current. Using this link for currents information. Do your own research as necessary. Complete this for Day 56. Use the rubric to guide you. Make it nice! Complete your current mapping activity. Present your project to an audience. Divide your score in half. Record your score. Complete the high tide low tide assignment. Use the link given for your data. (*)Complete the Making Waves lab. You can finish your graph and write up tomorrow if necessary. Complete your lab write up. Do the review activities: matching, unscramble. Play a game to practice the unit content. Take the waves, tides and currents quiz. Click on start. Record your score out of 15. Copy the list of key terms. Read about the different zones and take notes, filling in definitions. Read about blue water. Take notes. Read about the littoral zone. Use the arrow and then click each flashing point. Write a paragraph on the difficulties/dangers of this zone. State your thesis. Support it with details. Conclude. Record up to five points. Take off 1 point for each thing missing (from #4). Read about the ocean floor. Read more about the types of living things in an ecosystem. An autotroph is a producer. They form nutritional substance from carbon dioxide (CO2). A heterotroph is a consumer. They get nutrition from complex substances. Make a diagram using all of the orange words, showing their relationship. Read about the coral reefs. Read about the estuaries. Use the arrows. Read about the hydrothermal vents. Use the arrows. Read about the kelp forests. Use the arrows. Read about the sea grass beds. Use the arrows. Read about the marine food chain. Watch this video on trophic level and the ecological pyramid. TAKE NOTES! Try placing ocean animals on a food web. Keep going until they are all correct. Read about marine communities and take notes. Explain to someone what each orange word is. No reading definitions! Explain in a way they can understand. Read about ocean water (use the arrows) and take the quiz. Read about human impact and take notes. Read about human impact on marine ecosystems. Write a paragraph about human impact on marine ecosystems. Make any point you want. State your thesis. Use details. End with a conclusion. Record 5 points. Take off 1 point for any of those pieces missing. Write a paragraph to state your position. State your thesis. Use details. End with a conclusion. Complete The Cartesian Diver Experiment. The link in the document doesn’t work. You can skip that question and give yourself the point! Record 25 points, 1 off for any answer not given. Review your notes and prepare for a test. Make sure you know about marine communities and human influence and trophic level and the ecological pyramid. These activities and flash cards might help with your review. (*)Take the marine ecosystems test. Add three points to your score. Record your score out of 45 points. Follow the directions and answer the questions in the Tox Town Activity. Record 15 points, 1 for each complete answer. Read this article on barrier islands? Make sure you are writing in your definitions. Read about why wetlands are important. For each list where it’s found, a plant species and an animal species in that habitat, and a plan for preservation. Record 40 points (2 points for each part of the chart filled in-20 items in the chart). Use links as necessary. You should cite sources in the project you are going to make. Create a brochure to let people know what they should do about it! Save the wetlands! It is due on Day 88. Save this for your portfolio when you are finished. Write a paragraph convincing people. Score it out of 100 using this rubric. Draw a diagram of each kind of reef. Label it. Show them to someone and explain them. Research and answer the questions as a coral research diver. In your journal, define and diagram a coral polyp. Be able to identify and visually represent at least eight different species of coral and indicate whether it is classified as soft or hard. Describe the general habitat of coral, how it lives, and how it reproduces. How do the animal and plant organisms depend on each other? Explain three of these symbiotic relationships. What are the natural enemies of the coral? Explain why they are threats. Present your answers orally to an audience. Ask them to grade you based on the following. 2 points for each of the five answers if they were expressed with clarity. 3 points for each of the five answers if they displayed expertise. This is the end of the second quarter. You should save at least a lab, test and your brochure in your portfolio. To figure out your grade: total up your scores and divide by the total possible. Then multiply it by 100. Your goal is to get an A. Where are you losing points? How can you keep from losing them next quarter? (*) Print out the third quarter grading sheet or use the Excel version. Use the links on the page to answer the ten questions about coral reefs. You can use other sources as well. Record up ten points. Take away one point for any answer not found. Can you identify safe and unsafe practices in the coral reef? What animals live in and around the reef? Identify and visually represent five. How do these animals contribute within the ecosystem? Assess the importance of some of these animals outside of the ecosystem. Choose three animals and justify why it is so important that each be saved from extinction. 2 points for each of the four answers if they were expressed with clarity. 3 points for each of the four answers if they displayed expertise. Record your score out of 20. Read about special adaptations. Use the link at the bottom of the page to read more. Follow the directions and design your coral reef dweller. Read through the links on the left about sea dwellers. Tell someone about what you think is the most interesting animal you read about. Research and answer the questions as a marine botanist using the sites given. What plants live in and around the coral reef? Identify and visually represent three. How does each contribute to the ecosystem? Assess the importance of some of these plants outside of the ecosystem. Choose 3 plants and rank order them according to their importance. Justify why it is so important that they be saved from extinction. Identify the coral reef inhabitants. There are 20 with 2 bonus ones. Record 1 point for each one that you find to identify. You only need ten to finish the assignment, but you can get extra credit for any you find above and beyond that. *Complete part two and find the information for whichever organism you choose. You can print the template to fill out with the info. Answer the questions as a marine environmentalist. Search the internet, as necessary, to find answers. What is a coral reef? What is it composed of? In what parts of the world are reefs usually located? What is an atoll and what is its relationship to a coral reef? What are the major types of reefs that exist in the world, and where are they located? Discuss the reef as an ecosystem, detailing the interdependence of the individual species. Choose at least three organizations which are researching reefs and give detailed descriptions of their efforts to preserve them. 2 points for each of the six answers if they were expressed with clarity. 3 points for each of the six answers if they displayed expertise. Read about things that damage the coral reef, and fill in the blanks on the phrases. Record 1 point for each one filled completely in. Write a paragraph about human impact on the coral reef. Record up to 5 points for the eight phrases. Take 1 point off for each incomplete answer. Record up to 5 points for your paragraph. Take 1 point off for any piece missing. It should have a topic sentence (thesis), details/examples, conclusion. Total is out of 10 points. Complete the Bermudian Coral Food Web. Use these links to help. Follow the directions and answer the discussion questions. Answer with what and why. Record 10 points for making a food web for 10 organisms. Record 2 points for each discussion question answered telling both what and why. Take off 1 point for any incomplete part of the answer. This is due on Day 101. Make sure you understand how you will be graded with your rubric. Grade your project with the rubric. Record your score out of 90. Read about shores and fill in your definitions. Make sure you know the vocabulary from this unit. On Day 103 there will be a test on the marine communities from this section of the course. Look through the pages and your notes to prepare. (*)Take your Marine Communities Test. 1 point for each correct T/F statement. Score up to 3 points for the questions at the end–score for clarity, completeness, and correctness. Add two points to your score. Record your score out of 25 points. You might want to hold onto this for your portfolio. Read the intro to Marine Plants and copy down the key terms. Read about marine plants and write in the definitions. Use the online dictionary to listen to how the words are pronounced. Click on the speaker by the word. Each one starts with a “I didn’t know…” comment. Each one also includes a picture and a fact. You may need to do some research to come up with your fact statements. You can use the unit to come up with your I didn’t know statements. You will present your project to an audience when it is complete. Finish and present your “I Didn’t Know” project. Score your project with the rubric. Complete the Red Tide article assignment. Use the link on the assignment. Add up to 5 points for writing your summary in a structured paragraph(s) with introduction, details and conclusion. You might want to include this in your portfolio. You will write up your lab with analysis on Day 110. (*)Complete this photosynthesis virtual lab using this virtual lab set up. Record the data and answer the analysis questions. You do not need to write up a lab. Record 1 point for each specific example or specific fact included. Add 1 point for a topic sentence. Add 1 point for a conclusion sentence. Review the terminology from the course so far. You can use your notes and quizlet. Complete the review activities. Take note of where you had any trouble. Read over your key terms and definitions lists. Focus on the areas where you had trouble. Take this test, Midterm 2. You will not record this grade. You will see how much you are remembering from the course. You will need to know this information for your final, a test at the end of the course. Read the overview of marine invertebrates and copy the definitions and take notes. Search out images of each of the orange words. Draw a picture of each kind. I always recommend Google safe search whenever looking for images. Other safe searches do not work as well. Read more on plankton. Watch the video. Make a diagram or diagrams that shows the relationships between various types of plankton. You can use broad categories such as consumer, producer, zooplankton, animal plankton, but also add on smaller categories of plankton where they would belong. Read about starfish and watch the video. For each orange word, animal category, list some examples of that type of animal. Create a diagram or chart that compares and contrasts the six different types of worms. Identify the parts of a crustacean. If you can’t do the dissection, you can read through and look at the pictures. Here are two dissection activities. Use the pictures and instructions and try to identify the parts listed and delineated. Complete the fiddler crab population estimation lab. Score up to 10 points, 1 for each trial completed, tracing the square inch and counting the crabs. Score 2 points if you completed every part of the assignment. Never turn in incomplete work! Record your score out of 35. *Print page 3. Follow the directions to fill in the phylum chart. (*)Match the pictures of meroplankton to what they become. Complete the Who Am I project. It is due on Day 127. Use the rubric to score your project. Ask your audience to score your oral presentation out of 10. Take one of the “Who Am I” phyla and write a short essay on it. Your essay should have 5 paragraphs: introduction finishing with a thesis statement, three paragraphs each beginning with a topic sentence that supports your thesis and include specific facts and details, and a conclusion. This is due on Day 130. Work on writing your essay. Finish and edit your essay. Score your essay using this rubric. Total possible is 20. Add 5 points if all five parts of the essay are present. Copy down the key terms in the marine vertebrates unit. Read about fish. Take notes on the orange words. Build a fish until your fish survives, alternate link. Read about sharks and rays. *Print out or draw a shark and label it with everything listed. Read about skates and rays. This mentions millions of years. This guess as to the age is obviously opposed to what I believe about the young age of the earth. Take a look at ray anatomy. Read about the four types of marine reptiles. If you click on the links in the reading, you can see some short videos. Watch the video, just because baby loggerhead turtles are cute. Actually, see how amazing they are. No parent teaches them where to go or how to get there safely. They were created with everything they needed. Make a diagram or chart that shows what characteristics the four types share and don’t share. Check out this page (and site if you are interested) on penguin research. This is due on Day 136. Write a title and then use the words above as your headings. You need at least three points under each of the headings listed above. It’s time to save your work in your portfolio. You should save tests, labs and something that shows any project you completed and are proud of. Calculate your grade by dividing your total score by the total possible. (*)Print out your grading sheet for the fourth quarter or you can use the Excel version. Score 18 points if it is in correct form with 6 headings and 3 points for each one. -1 for each of the 18 points missing. Add 1 point for a title. Add 1 point for finishing on time. Why do you think manatees migrate? Why do manatees stay in shallow water close to shore? Why do manatees spend so much time eating? Do you think there is a way that scientists might be able to use the migration and feeding habits as a way to lessen the risk of extinction? What does a manatee need to survive? What human activities are threatening manatee survival? What manatee behaviors and characteristics make them vulnerable? How quickly do the manatees reproduce? How does this reproduction rate affect its population numbers? Record your score out of 16. (*)Complete the inventive ichthyologists assignment. You can turn it in on Day 140. Finish your inventive ichthyologist assignment. Score up to 10 points for your Atlantic Ocean characteristics. There should be ten. Score up to 10 points for your fishes adaptations and characteristics that it has in order to survive, if you can explain how its characteristics help it survive in that environment. Score 5 points for paragraph or diagram. Record up to 25 points. (*) Complete all the parts of this fish lab. You have three days. Today complete part A. Complete part B of the fish lab. Do the review activity to review key terms. Score up to 10 points for part A if all of the answers were found. Score up to 10 points for part B if all of the fish were identified. Score up to 5 points for completing the extension activity. Begin researching whales. Follow the directions on this whale watching sheet. Not all links may be working. You can use your own research. This is due on Day 150. Research. Take notes. Record sites and other resources used for a bibliography or citations page. Write at least seven paragraphs. Finish your report. Make sure it has a title and a bibliography. Score it according to the rubric for up to 70 points. Add 10 points if it is complete with title, bibliography, and at least seven paragraphs. Add 10 points if you made an outline. Add 10 points for completing on time IF you completed it by Day 150. You must finish your work on time! Play the turtle voyager game. These are the same type, loggerheads, as the cute baby turtle video we watched earlier. Play to the end. Make sure you read the facts as you go. 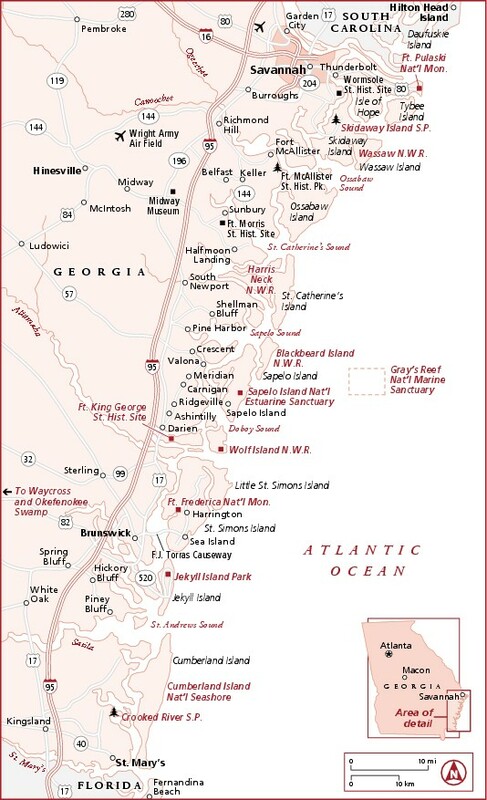 Read over about barrier islands and the associated vocabulary. If you are near a coast, know if there are barrier islands off of it! Explain to someone what a barrier island is. There are 13 questions. Score 1 point for each found and completed answer. Now we’re going to explore the coast of Maine. This site provides a variety of data from the area which you will analyze. We’re going to start with phytos. You’ll read the page and use the links to answer the questions in bold. There are three main questions to answer. Use the links and follow the directions on those pages. Answer the questions as they come up. Use the data to draw conclusions. Write answers to each of those three main questions on the first page. Write each with a topic sentence, restating the question. Then give the answer with specific data observations that support the answer. Score up to three points for each answer if it includes a topic sentence, answer and data support. Record your score out of 9 points. Write answers to each of those three main questions. Write each with a topic sentence, restating the question. Then give the answer with specific data observations that support the answer. Score up to three points for each answer if it includes a topic sentence, answer and data support. Record your sore out of 9 points. Complete activities 4 and 5. Here are your big questions to answer. Can a storm event can change ocean layering? “In general, which factor (i.e., temperature, salinity or fluorescence) was most affected by the storm?” You will also calculate the thermocline strength before and after an Autumn storm event. Write answers to each of those two main questions. Write each with a topic sentence, restating the question. Then give the answer with specific data observations that support the answer. Score up to three points for each answer if it includes a topic sentence, answer and data support. You will also score three points for your calculations. Next you will be looking at regional data sets. Write answers to each of those eight main questions. Write each with a topic sentence, restating the question. Then give the answer with specific details that support the answer. Score up to three points for each answer if it includes a topic sentence, answer and support. Record your score out of 24 points. Read the page and answer the questions about spring. Write answers to each of those four main questions. Write each with a topic sentence, restating the question. Then give the answer with specific data observations that support the answer. Score up to three points for each answer if it includes a topic sentence, answer and data support. Record your score out of 12 points. Write responses to the three “key questions” to show your understanding. Write answers to each of those the key questions. Write each with a topic sentence, restating the question. Then give the answer with specific data observations that support the answer. Score up to three points for each answer if it includes a topic sentence, answer and data support. We’re going to look at maps today. Scroll down and read through the next activity as well. Use the red outline map to compare the sizes of the yellow boxed areas in activity three. Score two points for each drawing for accuracy and scaled size. Record your score out of 8 points. You should look at your vocabulary that you’ve been writing down. You should study a little each day to prepare for the final on Day 180. You should know the vocabulary for the final. Also, it’s important to know the information that was on your two midterms. They were practice for the final. You will also be working on a final project due on Day 180. For your final project you will take up a cause: Save the ________ ! You are going to create a media campaign to rally others to join your cause. It could be the beaches, the reefs, the manatees, the seahorses, whatever you have interest in. I’ll give you some sites to give you some ideas if you are feeling clueless. Your project will have three parts. Your persuasive essay should have quotes with in text citations or at least references to statistics that are cited in the text. Here are some sites to help with the pieces of your project. You might want to use this design aid for your print ad if you don’t feel confident in your own skills to work from scratch. You could use this for either the brochure or the poster/flyer. TV or Radio Commerical Rubric (out of 32 points) SKIP the group work part — Points for the TV only section get added on as extra points. If you don’t have an idea off the bat, peruse these sites for inspiration. You don’t have to find something from this list. These are to help you come up with an idea for a cause. Keep reviewing your vocabulary that you’ve been writing down. You should study a little each day to prepare for the final on Day 180. You should know the vocabulary for the final. Work on your final project due on Day 180. Refer back to day 160 for the rubrics and requirements. Take your final. Each question is marked with how many points it is worth. Record your scores. They are both out of 100. Congratulations on finishing the course! Please take the polls below. Answer honestly to help other students choose the best courses for themselves.